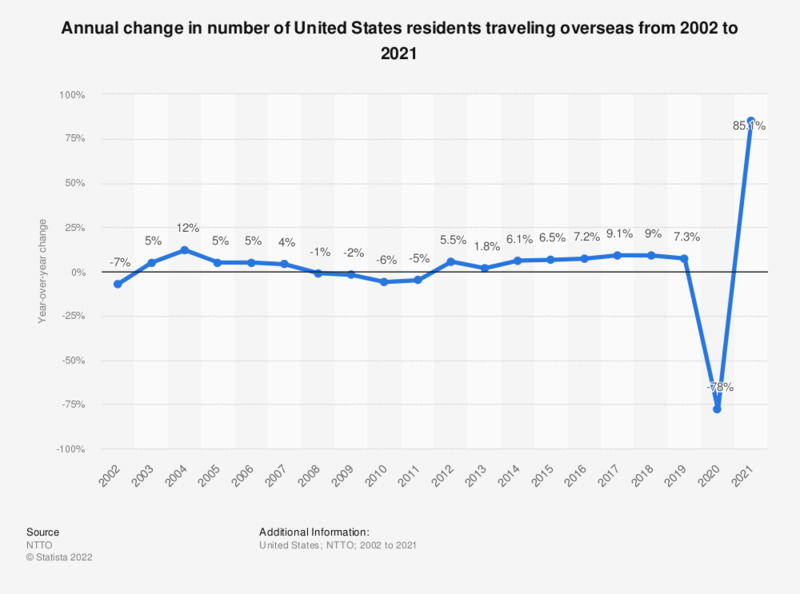 This statistic shows the annual change in number of United States residents traveling overseas from 2002 to 2017. The number of U.S. citizens traveling overseas increased by 9.1 percent in 2017 compared to the previous year. * Anywhere abroad excluding Canada and Mexico.